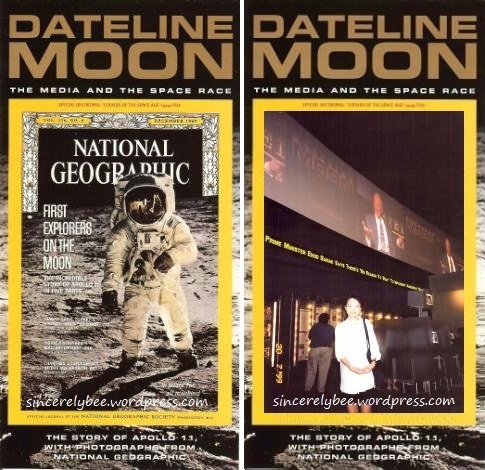 BACK ON 20th July 1999, when the Newseum celebrated the 30th anniversary of man’s historic moon landing, Apollo 11 crew members Neil Armstrong, Edwin “Buzz” Aldrin and Michael Collins were there at Arlington’s interactive museum of news to re-tell their great moment in history; so was I.
American astronaut Neil Armstrong made history being the first man to walk on the moon surface, followed by Buzz Aldrin. Their feat was well documented in history books including our Sejarah textbooks back in my old school days. Who knew I would one day find myself under the same roof with the trio! 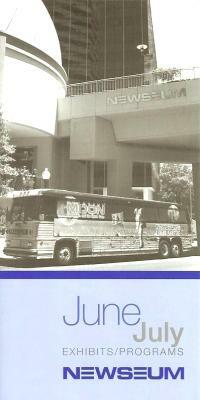 Back in 1999 I was living in Arlington, Virginia which was a mere 15 minutes walk to the Newseum (then located on 1101 Wilson Boulevard, Arlington, Va, but has since re-located to Pennsylvania Avenue, Washington DC). That Tuesday, the Newseum extended its opening hours to mark the 30th anniversary and held a “Moon Mania” Family Day where “families can participate in a full day of moon and space-themed programming, hands-on activities and showings of the actual TV coverage of the moon landing” (source: Newseum June-July Exhibits/Programs pamphlet). Although I did not get to see the trio in person, I joined hundreds in the packed Newseum and watched their live interview in the domed theatre unfold on the giant 126-foot-long Video News Wall, fully aware that I was under the same roof with the history makers. I suppose I helped create history that day being one of the Newseum visitors which hit a record 5,237 in a single day (statistics sourced online). 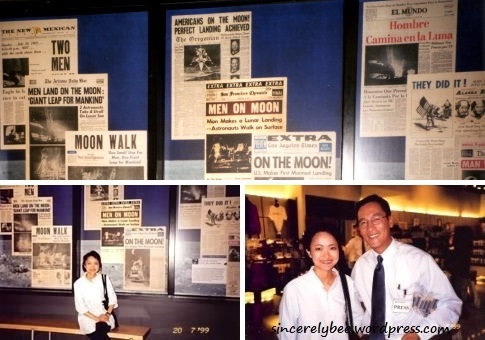 (Top) A display of front pages of major newspapers on the 1969 historic flight; (Bottom, R) At the Newseum Store that sold one-of-a-kind news-related merchandise, met NBC journalist Mil Arcega who happened to be covering the event that day. For the rest of the world, the late Armstrong’s legendary quote remains the most unforgettable: “One small step for man, a giant leap for mankind”. 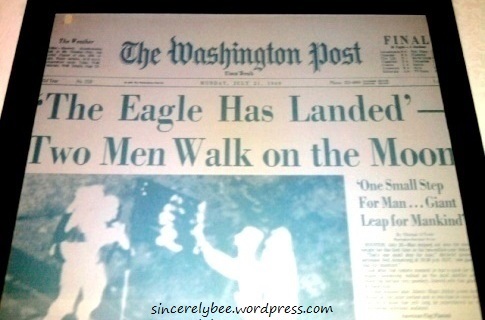 A metal plate of the Washington Post front page dated 21 July 1969 which hubby received as a souvenir during his visit to the WP printing plant; now hanging on the wall of our home. Also hanging on the wall is the Moscow Times front page dated 22 October 2007 autographed by Malaysian angkasawan Datuk Dr. Sheikh Muszaphar Shukor. This entry was posted in Discover DC, Memories of Moscow and tagged Angkasawan Day, Russia, USA, WashingtonDC. Bookmark the permalink.